Alumni Groups exist as both formal and informal groups. Some are formed around a common degree while others seek to unite SIUE alumni who live near each other. Stay connected, engaged, and enriched even though 300 miles separate you from SIUE. Founded in 2017, the Chicago Chapter of the SIUE Alumni Association is the largest contingent of SIUE alumni outside of the St Louis area. Approximately 4,000 SIUE alumni live in the Chicago area. 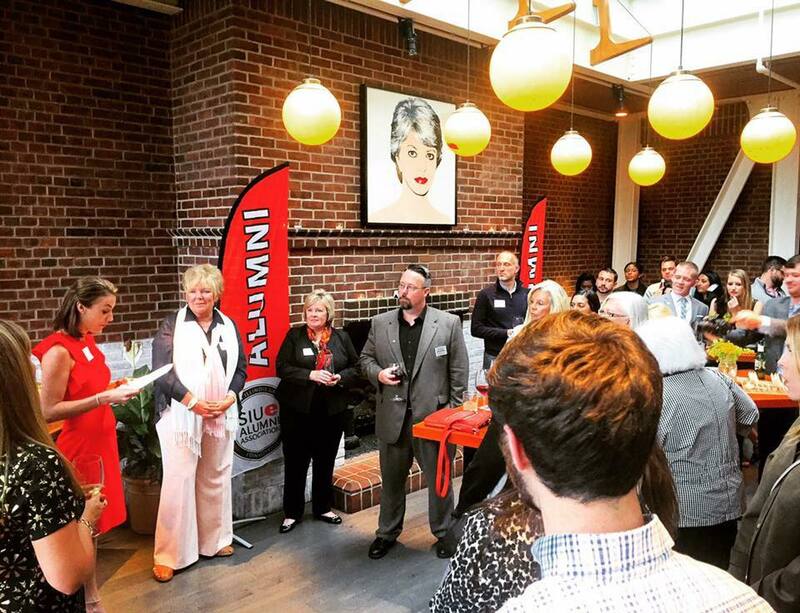 The Chicago Chapter of the SIUE Alumni Association gives you the opportunity to reconnect with fellow alumni, attend alumni events in the Chicago area, and stay updated on the SIUE community. The Chicago Chapter hosts local events year-round, offering many opportunities for alumni to get involved. Be sure to check back here for a listing of events, or visit the SIUE Alumni Association facebook page. Not only do we offer events and activities to our growing membership of Chicago alumni, the Chicago Chapter also benefits future generations of SIUE students through the SIUE Alumni Association Board of Directors Scholarship Fund. On May 19th, more than 50 Chicagoland alumni and friends gathered for the Chicago Cougars on the Move weekend. View pictures from the reception at Cindy's Rooftop overlooking Millennium Park and brunch at the Langham. 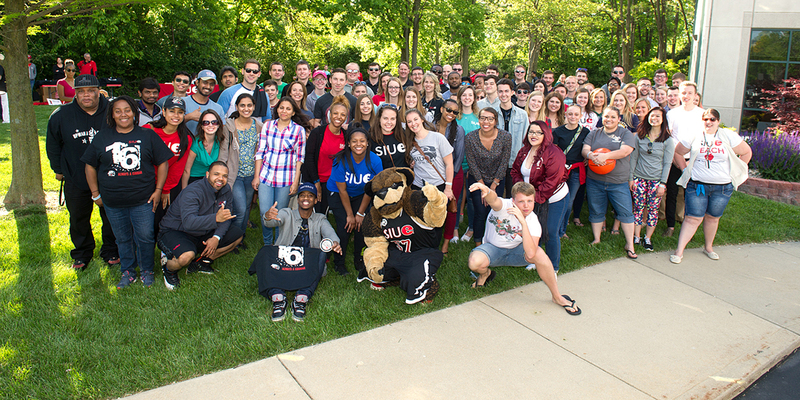 The Alumni Association serves SIUE graduates for a lifetime, helping alumni stay connected with SIUE and cultivating a sense of pride and engagement among alumni and the University. We hope that by staying informed and involved, alumni are inspired to support SIUE and help ensure its continued excellence. Membership is FREE and events are open to all alumni and friends of SIUE! The Chicago Chapter is the SIUE Alumni Association’s first regional chapter. Our local board members are building on our momentum to achieve an even stronger presence in the years ahead. To ensure the success of our chapter, we need to connect and engage with as many SIUE alums in the Chicagoland area as possible, so please share the news of the Chicago Chapter and upcoming events with friends! If you would like to get involved in the Chicago Chapter, email Beth Frattura. The SIU School of Dental Medicine Alumni Association is organized to assist the School in the support and advancement of its mission for the mutual benefit of the School, the University and its alumni. The SIUE School of Pharmacy Alumni Association is your connection to the School, fellow alumni and the pharmacy community. Since graduating its first class in 2009, the School has conferred approximately 80 PharmD degrees each year and has a growing alumni base. Be a part of building this community of outstanding alumni who work together to deliver high quality networking and social events, continuing education, residencies, and professional connections with the region. Contact the School of Pharmacy at pmcdona@siue.edu. Students Today, Alumni Tomorrow (STAT) is the student organization of the SIUE Alumni Association. 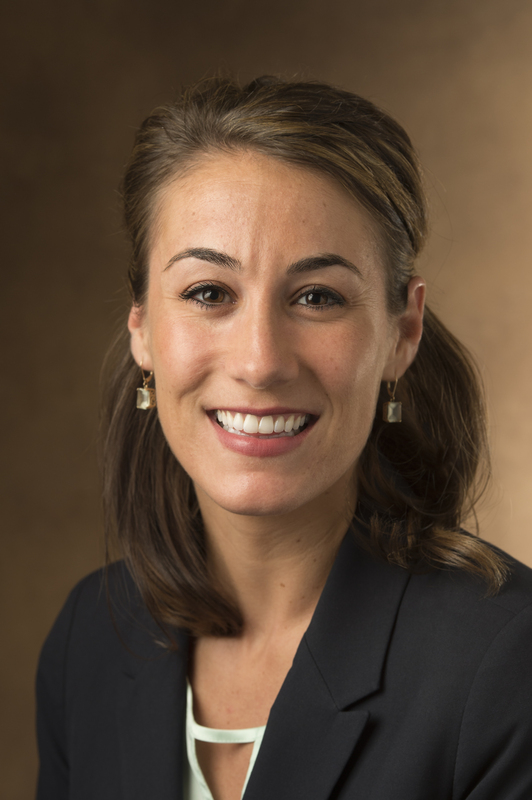 STAT is dedicated to enhancing the connection between students past, present and future while strengthening lifelong loyalty to SIUE. In addition, STAT members plan, promote and execute events that demonstrate the impact of giving and create awareness for SIUE’s philanthropic efforts. Students who make a $20 gift to the STAT fund at the SIUE Foundation are counted as members. Join Today! Register with Cougar Tracks to keep track of what is happening on campus and off. By selecting your interest areas, you can receive alerts about activities that appeal to you as various events are added to the SIUE Alumni Association calendar.